Centerstone’s Military Services division exists to break down the barriers to care experienced by veterans and their family members because we believe we owe our service members and their loved ones more than just a debt of gratitude for the sacrifices they have made. Our network includes more than 1,000 providers who serve all 50 states including DC and PR. In the most recent quarter, we authorized over 9,000 services to our partners nationwide. We’re proud to offer services for active military members, veterans and their families. If you’ve never visited Centerstone before or if you have questions about our services, please call us at (866) 726-4560. If you are in danger of hurting yourself or someone else, please call us immediately at (866) 781-8010. Sign up to be the first to know about our upcoming classes/workshops for service members, their families and providers. 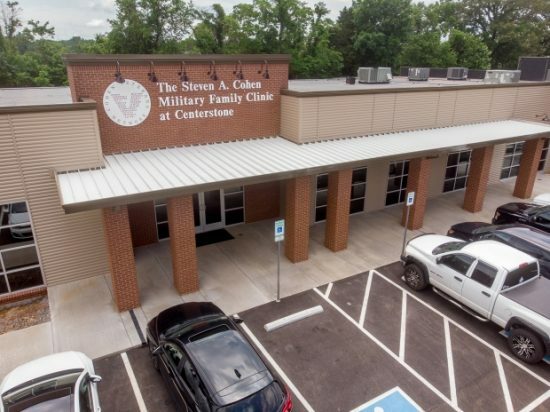 The Steven A. Cohen Military Family Clinic at Centerstone is a partnership between Centerstone and Cohen Veterans Network, a philanthropic organization that serves veterans and their families through a nationwide system of mental health clinics. Indiana Veterans Behavioral Health Network brings key partners together to improve access to services and behavioral health and well-being among veterans and their families living in rural Indiana communities. Supportive Services for Veteran Families (SSVF) helps veterans and their families gain access to resources needed for permanent housing, provided free of charge through a grant from the U.S. Dept. of Veterans Affairs. In-person counseling is available in all states through our network of licensed clinical therapists trained in military culture. Counseling..
June 14 marks the 242nd birthday of the US Army — initially established in 1775 as the Continental Army. The new force was made up of 22,000 militiamen already gathered outside of Boston plus 5,000 more in New York. On June 15, 1775, Congress named Virginian George Washington as commander-in-chief of the Continental Army. Post-traumatic stress has become a familiar term. It’s still difficult for family and friends at home to understand what happens to a person because of combat. Often, spouses and other family members simply do not have a context for what happens to a combat survivor. Writing Down The Bones is the title of a book that I came across as I was struggling through the resolution of my experience from Vietnam. The book is written by a lady named Natalie Goldberg. What I found so valuable about Natalie’s approach to writing was the authenticity of her writing about anything. It was a phrase Suzi Landolphi, expert equine therapist and newest addition to the Boulder Crest Retreat staff, repeated constantly throughout our Saturday morning with her, a tongue-in-cheek way of stating what every woman there felt: that the horses’ movement around us was no accident. Jodie Robison, Ph.D. is the Executive Director for Military Services. With more than 18 years of behavioral health and management experience, Robison oversees Centerstone’s military-related services, programming, operations, business development and fundraising activities. She previously served as the lead clinician for Steven A. Cohen Military Family Clinic at Centerstone and prior to that as Director of Clinical Services for Centerstone’s Military Services. She first joined Centerstone in 2007 as a behavioral health worker in Pediatric Integrated Care before establishing her own private behavioral health practice in 2012. Robison received her master’s in counseling and personnel services from the University of Maryland and her doctoral degree in human services, social and community services from Capella University. She is a member of the American Counseling Association, American Mental Health Counseling Association and Tennessee Licensed Professional Counselors Association. She is a military spouse, a military parent and has collaborated with numerous military related organizations throughout her professional career.